Pulsin Maple & Whey Crisp Protein Booster is rated 4.8 out of 5 by 4. 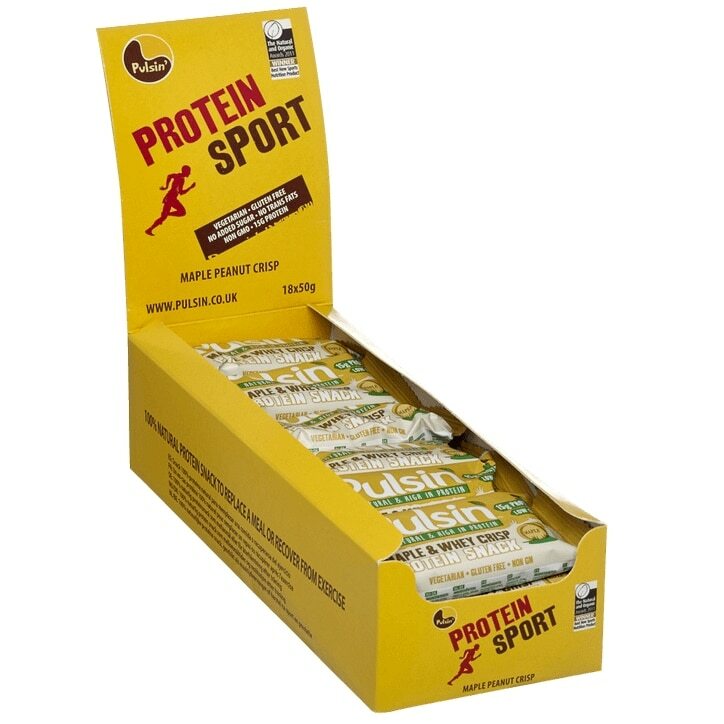 Rated 5 out of 5 by MrDiscerning from Natural, not sweet, fain taste of choc I have my favourites, but like to have a variety of protein bars, prevent boredom and stop me from getting sick of any one brand. These are a pleasant change from the norm - they are not trying to be a candy bar. Not at all sweet, but don't, as a friend put it 'taste like dust'. Just a hint of choc flavour, from the cacoa. The texture is drier, slightly crumbly, so may not satisfy the same as a chewier bar, but certainly has its place and actually becoming a favourite. Check out pulsin's website - some other interesting natural protein and energy products. Rated 4 out of 5 by Biedroneczka75 from Slow Delivery but very good quality product I need products which contains proteins because I'm busy, gym freak and vegetarian. I really like the protein sport bars. They have got nice taste and they are full of goodness. Highly recommended to everyone. Normally the price is high (in my opinion) but because I had 2 vouchers each for 2 pounds and delivery free (only for one weekend) so I paid 3 pounds something for 6 bars! Bargain! Normally I would need to pay 1,79 per one bar!